RR-Net Mk3 was designed to fit into a standard cartridge case together with a Turbo Chameleon 64 or an MMC Replay cartridge. 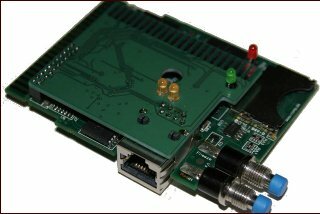 RR-Net Mk3 is based on the 10MBit Crystal LAN chip which makes it compatible to all existing C64 network programs: Contiki, Codenet, Warp Copy. 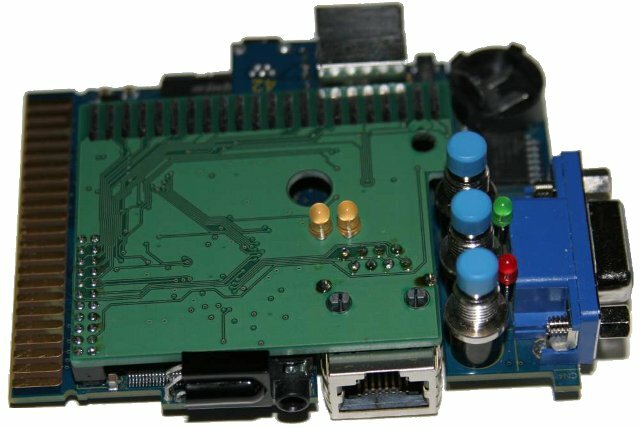 IMPORTANT: RR-Net Mk3 MUST NOT be used with a cartridge port expander, using an expander can damage the hardware! 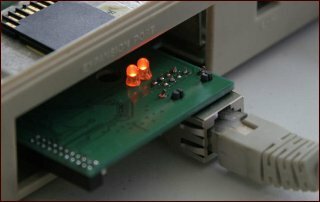 RR-Net Mk3 can only be operated connected directly to the C64 (or mounted on a Turbo Chameleon 64 or MMC Replay, respectively). The SX64 is not supported. The images with the green PCB show prototype versions. 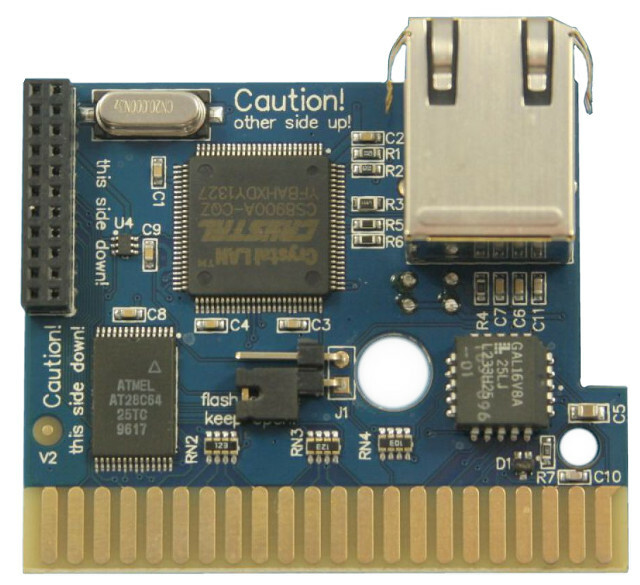 The actual sales version looks slightly different and comes with a blue PCB.